In just ten days in Lithuania, I’ve learned a few things. For one, the younger generation of Lithuanians love pizza. In a city where restaurants can be tough to find outside of Old Town, it’s hard to walk far without seeing a new pizza restaurant. On top of that, Vilnius’ wide array of cafes features every sort of coffee imaginable, but no hot chocolate, and often few teas. More importantly, I’ve been working with a few attorneys on the ground here in Vilnius to get to the bottom of Lithuania’s citizenship law so I can explain to you how to obtain a second citizenship in Lithuania through ancestry. Lithuanian citizenship isn’t one that many people are talking about. Irish and Italian citizenship by descent programs are frequently bandied about on the internet by all of the second passport gurus. However, Lithuania offers a citizenship by descent program that is just as liberal, if not more so, than the more commonly discussed European second passport programs. If you’re not familiar with citizenship by descent programs, it’s pretty straightforward. Basically, certain countries — largely in Europe — offer the ability to claim citizenship there if you can prove you have ancestors who left that country. Usually, you’re allowed to go back two or even three generations in the family tree. In the case of Lithuania, you are typically allowed to go back three generations. That means that if you have a great-grandparent who held Lithuanian citizenship, you should be able to qualify to become Lithuanian yourself. It’s merely a matter of proving the family connection. You’ll need a copy of your own birth certificate, as well as birth certificates all the way up the family tree until you reach the ancestor with Lithuanian ties. You have to prove that you are related to each person in the chain (parent, grandparent, etc. ), which includes getting each and every birth certificate — and, in some cases, marriage licenses — notarized in the country or state (in the US) where the document was issued. If you don’t have all of the records proving your ties to your Lithuanian ancestor, it is likely you can obtain them through the archives in Vilnius by using a local attorney to help you. Lithuania’s proximity to both Germany and the former Soviet Union creates some interesting angles in the Lithuanian Law on Citizenship. For example, if your Lithuanian ancestors left the country prior to Soviet Occupation in 1940, you will need to prove that they left for political reasons, such as escaping persecution. This requirement doesn’t apply for those with family that left during the occupation of Lithuania, because the government realizes that leaving was a reasonable thing to do. If your ancestors left prior to occupation, you may still be able to qualify for citizenship, but you will not be able to maintain dual citizenship. While Lithuania is considering making some exceptions to this policy, you will typically need to renounce your previous citizenship. 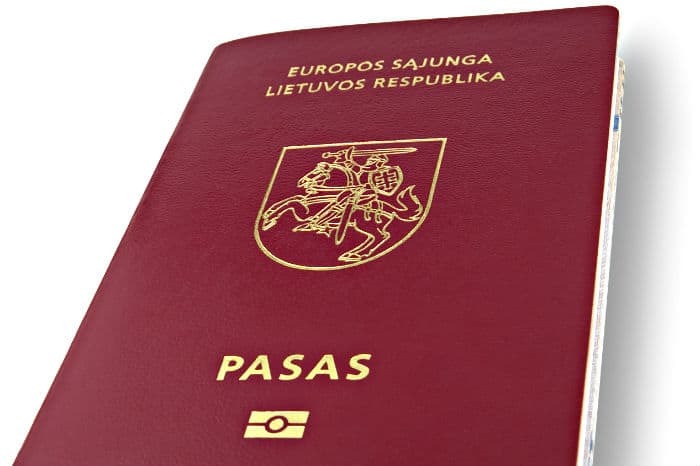 Indeed, the Lithuanian government has gone back and forth on whether to allow dual nationality in recent years. They have also wavered on whether to allow ancestral citizenship cases at all. 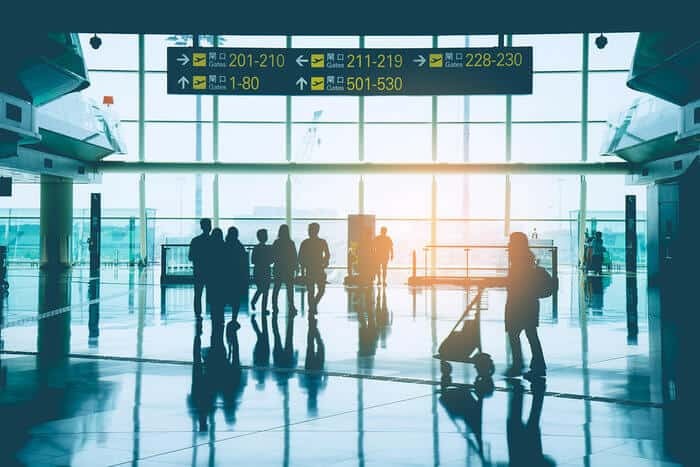 If your ancestors left due to political reasons, however, it is much easier to make a case that you should be allowed to maintain dual nationality. After all, if occupation would not have occurred, your family probably never would have left and you could have been born in Lithuania. 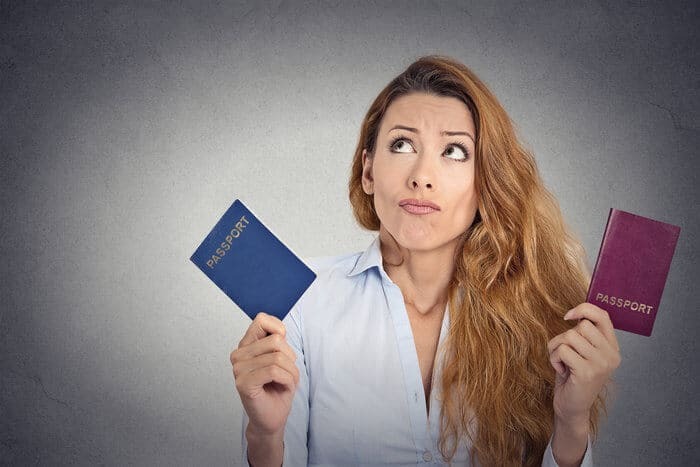 The process for reclaiming your citizenship is relatively straightforward, as long as you understand the potential caveat with keeping your existing citizenship. Overall, the process usually takes a total of a year and a half to complete. While I did believe it’s possible that Lithuania could possibly have changed its law on ancestral citizenship again, this has yet to occur in the three years since I originally wrote this article. As of now, Lithuania remains a rather tricky place to obtain citizenship, and to maintain dual citizenship. There is question as to whether the law prohibiting certain people with Lithuanian blood from (easily) claiming their citizenship is constitutional, and one expert here told me he suspects things may get easier still, but there are no immediate signs of that happening. Great article Will! I’ve been researching Lithuanian dual citizenship as well and have been told that if the ancestor left prior to 1918 – as my great-grandfather did – one would not be eligible for Lithuanian dual-citizenship. Still its fantastic how far back they consider for ancestral citizenship. Is there any word on a referendum or other changes to dual citizenship laws that would help ancestral citizenship cases like mine? My grand father fled Vilnius , with his two brothers in the pogroms . Because of Brexit . I would like to retain my European links . it is indeed very interesting how far this discussion can go. I am about to submit my dual citizenship. My grandmother left Lithuania in 1927 and although we dont have evidence here in Brazil about the political /historical reasons, she always says that they left Lithuania because of the local wars. She was child when she came but her parents used to tell her those things. Hopefully, my attorney in Vilnius has enough background to produce a success case to the migration of Lithuania! All documentation gathering is also a surprise! not even my grandmother would recall her mother maiden name, it is crazy!!! this is the most recent discussion about Lithuanian citizenship on the web and it is enlightening. Greeting from Brazil. I was excited to see your post because I am in a similar situation. My grandfather was born in Lithuania in 1923 and left with his parents in 1930. I am also in the process of putting together an application for dual citizenship and I have also heard that they require proof that your ancestors left to escape persecution. And like your grandmother, my grandfather doesn’t have hard proof, but he says that his father had a bad feeling about all the unrest in Europe and wanted to get out of there no matter what. Their being Jewish, it is obvious that if they stayed, they would have been killed 10 years later. I would just like to know, have you succeeded with your application so far? How has the whole process worked out for you? Could you recommend your attorney in Vilnius ? You are probably eligible for German dual citizenship. If my Great- Great Grandparents were born in Lithuania is there any chance I can still get a passport? If my father can get a Lithuania passport off of his great grandparents- would this make it easier for me? I’m in the same exact position as you are but only started looking into this in 2016. Have you had any luck and advise for me? Thanks! Hi Chris and Steve, I am in the same situation–any advice is very helpful! Minha bisavó também saiu da Lituânia e chegou ao Brasil em 1927! O nome dela é Veronika Bieliauskaite. Qual o nome da sua avó? My grandmother was born in Germany in 1930 with Polish nationality. Her parents had immigrated to Berlin in the 20s. She and her parents fled when she was 8 to the United States in 1938. I’m wondering if I am eligible for either Polish or German citizenship? I was able to get my Lithuanian passport even though my great-grandparents left earlier than mentioned by proving they escaped (which was easier because of their Jewish roots). You mentioned you were able to get your passport “even though my great-grandparents left earlier”. When did they leave? My mom’s great-grandfather left before 1918 and he also had strong Jewish roots. Any information would really help. Did they leave before 1918? It would be super helpful to know! Which lawyer did you use? Thank you! Hi I have just submitted my application for a Certificate of Lithuanian Descent while here in Vilnius on a short trip. My Grandparents left Sunskai in Marijampole County in 1905 and lived in Glasgow in Scotland for the rest of their lives. I’ve been advised by the Lithuanian Embassy to try for dual nationality and if unsuccessful, apply at a later date for single nationality when I feel ready to renounce UK citizenship. The lawyer here in Vilnius has said that there may be a slim chance that they might be considered Lithuanian Citizens by default, as they never took out UK citizenship. One thing I would emphasise is that it is absolutely essential to do your research fully, and have all your documentation in order before considering any application. Good luck to anyone undertaking this process. I now have to wait around 4 months for the decision of the Lithuanian Nationality Commission. Thanks for the good wishes and my apologies for the late response. I have just been told that my application is approved and I am now waiting for the documents to reach the Lithuanian Embassy in London. I’m delighted! My next step will be to apply for citizenship. I will be working in Marijampole in October for a few days on an Erasmus Teaching Exchange. I’m excited to be going to Lithuania in the year of it’s 100th Anniversary! Congratulations, Colin! I am in a similar situation, in that my great grandparents left Marijampole in 1912 for the US. Can you recommend the attorney that you used in Vilnius? Thanks! Colin, would you please provide me with the name of the attorney in Vilnius? My Great Grandmother left there in 1912, when it was still called Wilno, Russian Empire. Hi Colin, , thanks for the information you posted – my circumstances are very similar to yours but one generation removed. Two of my great-grandparents left Lithuania at a young age sometime in 1900’s with their parents (still to determine exactly when and from where) and moved to Glasgow where they stayed for the rest of their lives (and where I was born). They met as young adults there, married and had my grandfather who although was full-blooded Lithuanian was born Scottish. Any information you have on the lawyer you used, costs, etc would be greatly appreciated as I’m having to investigate citizenship with another EU country now that a hard Brexit is almost inevitable, and I’m living in another EU country. That is really helpful. My great grandparents also left Lithuania in around 1905. I assume they met in Scotland and they married and had several children, one of whom was my grandmother. They were Catholics and I understand that many fled due to persecution at that time. Can I ask how you managed to prove the reason for your grandparents leaving? Also, do you think your application was successful because they were your grandparents rather than great grandparents? Finally, is it enough to prove the ancestry of one great grandparent or did you have to prove both? I am struggling to find anything on my great grandfather. My Grand father is from Lithuania, first generation. I need to get the paperwork together I have just skimmed the article. If I am granted a Lithuanian passport does that allow me to do Care Work in the UK ? My father can get a Lithuanian and Israeli citizenship. If he gets it can I get it through him? My grandpas grandpa moved from Lithuania to USA and his father went to Jerusalem. He was a rabbi and is buried in Jerusalem. It’s just recently my family married non Jews. What an interesting website. My parents came to the US from Lithuania in the early 1900s. Father wanted to find work; Mother came just to visit, but was not able to return because of WWI outbreak. They met and married in Boston. The national archives in Vilnius was able to furnish a good deal of family information for both my parents — names of ancestors, dates, siblings. It would be interesting to have dual citizenship, but based on the information I just read here, it wouldn’t be available for me. My grandmother moved to the US to escape persecution before WWII. She married a man from Latvia, who also moved to escape persecution. They were both Jewish. Would I qualify for an EU passport? What is the process? My grandmother moved to the US before WWII to escape persecution. Would I be eligible for a EU passport? How do I find someone to help me get Lithuanian citizenship? My father was 100% Lithuanian. My grandparents on his side came from Lithuania. I do have some documents. I am using a wonderful lawyer in Lithuania. He only charges on successful completion of application and does the research for you. It is a lengthy process but being South African it is worth it. It goes back 3 generations so my kids need to get it before they have children of their own. What is the name of your Lithuanian attorney? My Lithuanian grandfather, born in 1908, emigrated to the USA circa 1911 or 1912, from Vilna. I am interested in Lithuanian citizenship. Interesting. With Brexit I thought I would look, but I think I’m out of luck. My grandfather came from Poland, my grandmother from Lithuania. They were Jewish and arrived in the UK in 1914. I don’t have any documentation. Can you refer me to a party which might appeal in my name to the Vilnius Regional Administrative Court concerning decline to reinstate Lithuanian citizenship by Lithuanian Migration Department, even if, as I understand also from your site, I do deserve such citizenship? I have everything all ready to go and the consulate here in Toronto told me I’m eligible. I just need help with the application. I don’t speak Lithuanian and google translate doesn’t seem to help much. There are so many scammers out there that it’s hard to tell which services are real and which are not. Does anyone know a legit service in Toronto (or online/over Skype/Google Hangout) that can help me with this? My mother recently (after 3 years of work) received her Lithuanian ancestral passport. How difficult is if for me (aged 46) to get a passport based on her now having one. Is it easy or do I too have to go through the whole process?